A woman smokes a cigarette on August 9, 2005 in Frankfurt, Germany. A Rhode Island lawmaker wants to make the state the first in the nation to raise the age for legal tobacco purchases to 21. A House committee will consider Rep. Teresa Tanzi's bill to raise the age from 18 on Wednesday. Tanzi says making it harder for young people to get cigarettes could prevent them from starting to smoke. 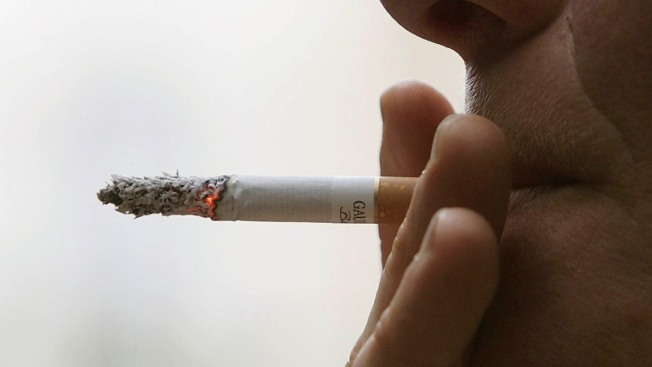 Although some municipalities have raised the smoking age to 21, no state has done so. The Democrat's bill, if passed, would apply to all forms of tobacco and take effect immediately. Tanzi, who represents Narragansett and South Kingstown, expects opposition from the tobacco industry and retailers on border towns. She expects support from public health professionals. Rhode Island-based CVS drew national attention last year when it pulled tobacco products from its stores.